HOA's - What are they? When you purchase a condominium, townhouse or other type of property in a planned development, such as a leased land property, a gated community, or even an ordinary subdivision, you are obligated to join that community's Homeowner's Association (HOA) and pay monthly or annual HOA fees for the upkeep of common areas and the building. If you are considering purchasing a property with HOA dues, you should be aware of the following things before you buy. Because multiple parties live in the same building, all residents of condominiums and townhomes must be equally responsible for maintaining the common areas of the building such as landscaping, elevators, swimming pools, clubhouses, parking garages, fitness rooms, sidewalks, security gates, roofing and the building exterior. Many of these common areas, such as pools and tennis courts, also exist in subdivisions of single family homes. Regardless of whether the HOA governs a building, such as a condo or townhome structure, or a neighborhood of individual houses, HOA fees help maintain the quality of life for the community's residents and protect property values for all owners. In addition to maintaining common areas, HOA's also set out certain rules that all residents must follow called CC&R's (Covenants, Conditions & Restrictions). Rules may include what color of front door you have, whether you are allowed to hang your laundry outside to dry, whether you can have a satellite dish, the size and type of pets permitted, and so on. In many ways, these rules are similar to the types of rules apartment dwellers must follow. In a subdivision with individual homes, regulations may include what color you can paint your home, the exterior landscaping allowed, the types of vehicles you can park on the street or in your driveway (no RVs, for example), permissible type and height of fences, and restrictions on window coverings for windows facing the street. If you want to do anything that differs from these rules, you will have to convince the HOA to grant you a variance, which is probably unlikely. No matter where you live, you are likely to be subject to city ordinances and restrictions related to the use of your property. 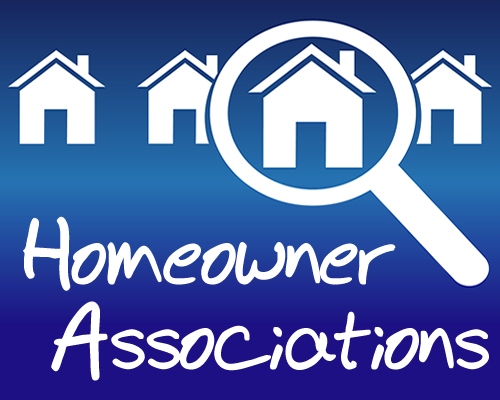 Your agent can provide you with HOA's and CC&R's. They should specify what happens if you violate a rule. Pay particular attention to rules regarding fines and whether the HOA can foreclose on your property for nonpayment of HOA dues or fines resulting from CC&R violations. Also, learn about the process for changing or adding rules and whether HOA meetings are held at a time you will be able to attend. Is the home I'm buying already out of compliance? Buying into an existing problem can be a headache, so find out what the rules are and if you will need to make changes to the home to comply. If environmentally-friendly living is important to you, be aware that some HOA's may dictate that you use fertilizers, pesticides, sprinkler systems, and whatever it takes to keep your lawn picture-perfect. They may limit the size of gardens, ban compost piles and prevent you from installing solar panels. If these things are important to you, make sure you check the fine print first. Find out what the monthly dues cover. Will you still have to pay extra for garbage pickup? And finally, Homeowner's Associations can be your best friend when they prevent your neighbor from painting their house bright pink, but your worst enemy when they expect you to perform expensive maintenance on your home that you think is unnecessary, or impose rules that you find too restrictive. Before you purchase a property subject to HOA rules and fees, make sure you know exactly what you are getting into.